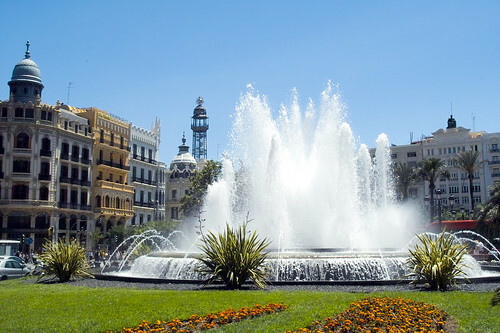 The Plaza del Ayuntamiento is the largest and probably most important plaza in Valencia. 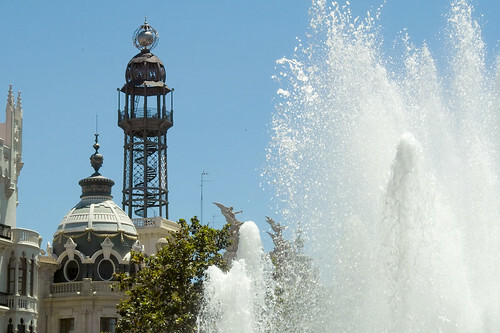 Home to the city hall (ayuntamiento) and the magnificent central post office (edificio de correos), the Plaza del Ayuntamiento also serves as ground zero for Fallas. The triangular shape of the plaza is interesting. 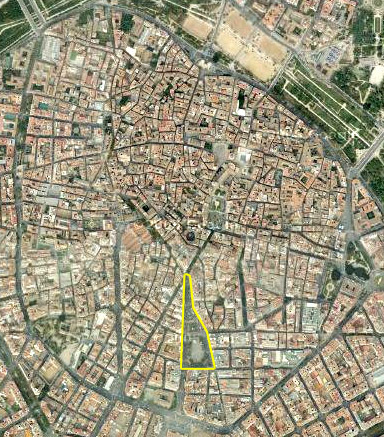 At its southern end, where it’s widest, there’s a large cement lot which is the site of mascletàs during Fallas. All other times of the year, it serves no obvious purpose and is conspicuously empty for a huge central city plaza. Ringed around the cement lot are flower vendors, who never seem to be lacking for business. One thing the empty lot is good for is photographs. From every direction, you can get wonderful shots: the Central Post Office to the east, the Ayuntamiento to the west and a huge fountain to the north. 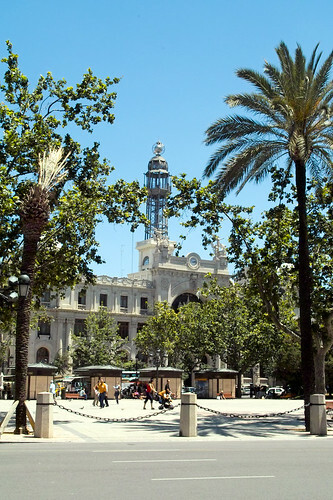 Besides Fallas, the Plaza del Ayuntamiento generally serves as Valencia’s go-to meeting spot. It was here people gathered for the impromptu celebrations following Spain’s Euro 2008 victory, and it makes an excellent meeting spot for ventures in the city. But while the plaza is impressive and useful, it is not a nice place to while away the afternoon, as is the Plaza de la Virgen, for example. Too much traffic and concrete. 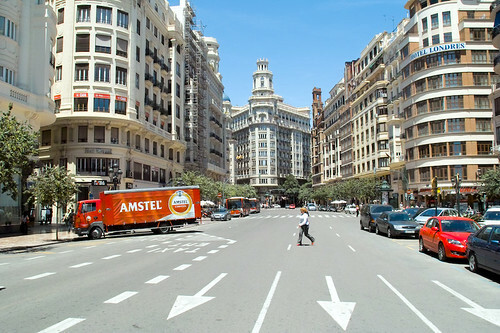 But you won’t be able to avoid it on a trip to the city… in Valencia, all roads lead to the Plaza del Ayuntamiento. 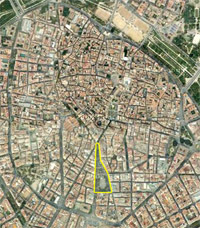 La plaza en otros tiempos y un gran conocedor de Valencia TONOGAYORA. Es una plaza monumental y enorme. Excelente para los aficionados a la fotografia. Muy recomendada.